World Floral Expo’s demand for exhibit space is growing. Until today 45 companies, mainly flower growers, have signed up and it is to be expected that this number will continue to increase. Texas is a rich state and consumption of flowers is high. Therefore Dallas was chosen as next destination, after having touched down last year in Chicago for the 2nd time in 4 years. This year’s cooperation with the Dallas Market Center (the venue where the trade show will be held), on the marketing aspect of the trade show, will surely attract many floral trade visitors to attend from Texas and surrounding states. Also the close cooperation with US Flower Expert J Schwanke, who will present 2 programs during the show, i.e. 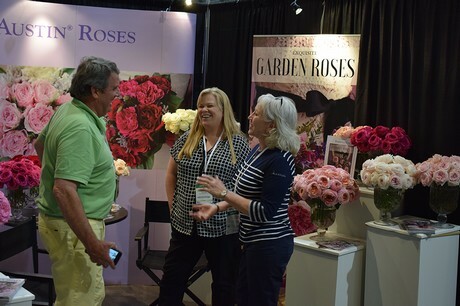 “Flower trends for 2019 and “Creating a Life in Bloom”, will encourage great trade attendance as well. Also the floral workshops given by a Dutch flower design team are expected to attract extra floral business visitors.